Not-for-Profit Corporations are formed for many reasons. In New York State there are two types of formations: charitable and non-charitable. New York now allows for filings of each with a purpose as simple as: any purpose for which corporations may be organized under the Not-for-Profit Corporation Law as a charitable corporation or any purpose for which corporations may be organized under the Not-for-Profit Corporation Law as a non-charitable corporation. The state will accept these generic purposes for filing but keep in mind the IRS will want a more detailed purpose explanation when completing their tax exemption paperwork. Most Not-for-Profit Corporation filings can be accomplished within a few business days. A certified copy of the filed Certificate of Incorporation is a must have. The IRS always wants a copy to review as part of their application process. The tax exemption process has been streamlined by the IRS to include a Form 1023-EZ application for those charitable corporations with annual receipts falling under a certain threshold which can speed up the waiting time for granting of a tax exemption. A Charitable Corporation is any corporation formed for charitable purposes. A charitable purpose of a corporation means one or more of the following purposes: charitable, educational, religious, scientific, literary, cultural or for the prevention of cruelty to children or animals. Many people confuse filing a house of worship with filing a Not-for-Profit Corporation formed for religious purposes in New York. For example, a purpose as simple as disseminating the word of God to the public would be filed at the state level as a charitable corporation formed for religious purposes. New York has specific laws related to forming a physical house of worship as these are filed at the county level and require a completely different set of information as they are typically governed by a Board of Trustees. An entity formed for the specific purposes of providing a congregation with regular religious services and has a physical location is considered a house of worship and should be filed under New York State Religious Corporation Law. Most houses of worship file under such law. Houses of Worship apply for the same tax exemption as those charitable entities filed at the state level. A Non-Charitable Corporation means any corporation formed under the Not-for-Profit Corporation Law, other than a Charitable Corporation, including but not limited to one formed for any one or more of the following non-pecuniary purposes: civic, patriotic, political, social, fraternal, athletic, agricultural, horticultural, or animal husbandry, or for the purpose of operating a professional, commercial, industrial, trade or service association. A corporation formed for both charitable and non-charitable purposes is a Charitable Corporation. Depending upon entity name choice and purposes an outside State agency or governing bodies consent may be required prior to the State accepting the Certificate of Incorporation for filing. In addition, the name of the corporation may not imply a purpose or power for which the corporation is not formed. Timeframes for consents vary depending upon the agency or governing body. A service company is indispensable in forming a Not-for-Profit corporation. By coordinating and creating the time line for the several approvals and filings that have to be made, a service company will help word purpose clauses to expedite filing and obtain consents, avoid delays caused by improper requests for consents and filings, apply for 1023 E-Z status, and save a substantial amount of your time and effort. 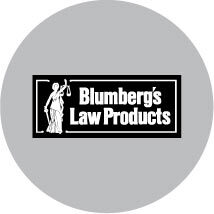 BlumbergExcelsior Corporate Services, Inc. is the leading service company in the field, having formed charitable organizations since 1974.For more information on our formation services click here. Previous PostPrevious What is a legal pad? Next PostNext What is Watermarked Paper?